Zambia is a landlocked country, bordering eight neighbouring countries, populated by over 16 million residents. Originally inhabited by native Khoisan people, Zambia is considered a gateway to exploring the fascinating jewels of southern Africa. 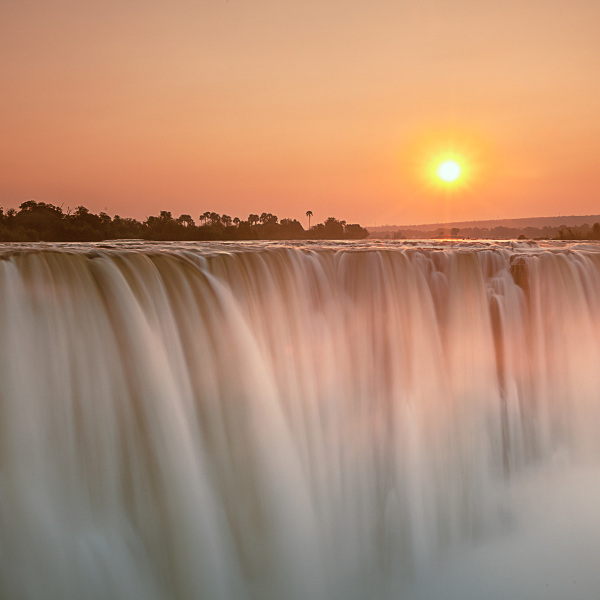 Popular tourist attractions include the famous Victoria Falls in Livingstone, the Copperbelt Museum in Ndola and Lusaka’s Munda Wanga Environmental Park. Get ready to explore Africa’s wildest treasures and vivacious culture because cheap flights to Zambia are now available! Zambia’s hub airport is Kenneth Kaunda International Airport (LUN), a 25-minute drive from the city’s capital, Lusaka. LUN serves a multitude of airlines, including South African Airways, Kenya Airways and Ethiopian Airlines. Direct flights to Lusaka now depart from Johannesburg via South African Airways. Flight duration from Johannesburg is approximately 1 hour, 55 minutes. See the Big 5 and many more majestic animals in their natural habitat as you go on a real African safari through the nature reserves. Inspiring encounters with orphaned chimpanzees and other animals will delight and humble you. Boasting some of the most jaw-dropping scenery in southern Africa, Zambia is home to the magnificent Victoria Falls, which can be experienced from a bungee jump. A sunset cruise along the serene Zambezi River is simply breathtaking! Feel the pulse of the vivacious African spirit as the locals welcome you to their vibrant heritage and history. From their hearty cuisine to authentic, handmade crafts, the Zambian people will creep their way into your heart. Zambia experiences a subtropical climate with two distinct wet and dry seasons. If it’s the ultimate African safari you’re after, game viewing is at its best in the dry season, between May and October. Take advantage of the low water levels and kayak along the Zambezi River or take a dip in Devil’s Pool. The rainy season falls between November and April, when tourist crowds die down and the lush, green landscapes are ideal for hiking and exploring the ethnic villages. Towards the end of the rainy season is the perfect time to visit the spectacular Victoria Falls in all its glory. Bear in mind that some lodges and outdoor activities may be closed in the rainy season due to heavy flooding. For the cheapest flights and accommodation, visit Zambia between November and April. For a magical, one-of-kind African experience, look no further than Zambia. This African treasure sports a myriad of attractions and activities, from natural wonders like Victoria Falls to big game viewing at South Luangwa National Park. With its abundant wildlife, you’re bound to have the safari trip of a lifetime. 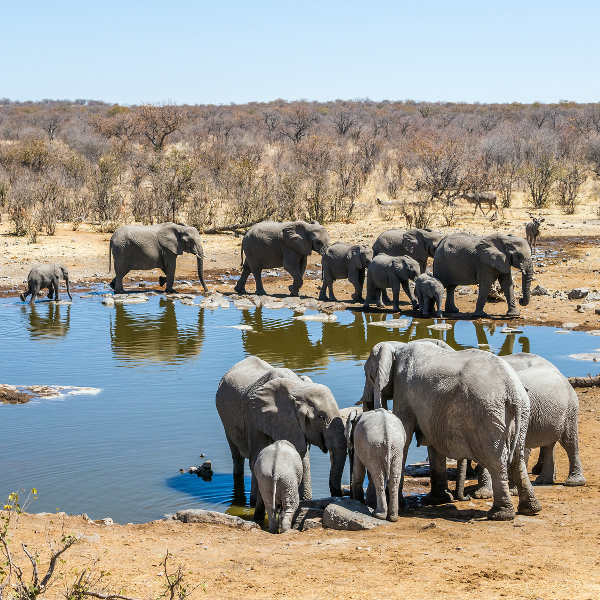 Choose between guided walking safaris or blend in with the wildlife and stay in lodges within the reserves, where you’ll soon be acquainted with prides of lions, elephant herds, rhinos and many more fascinating animals. For a quiet retreat, opt for remote areas like Mwaleshi Bush Camp in the north or Kafue National Park in the central region. 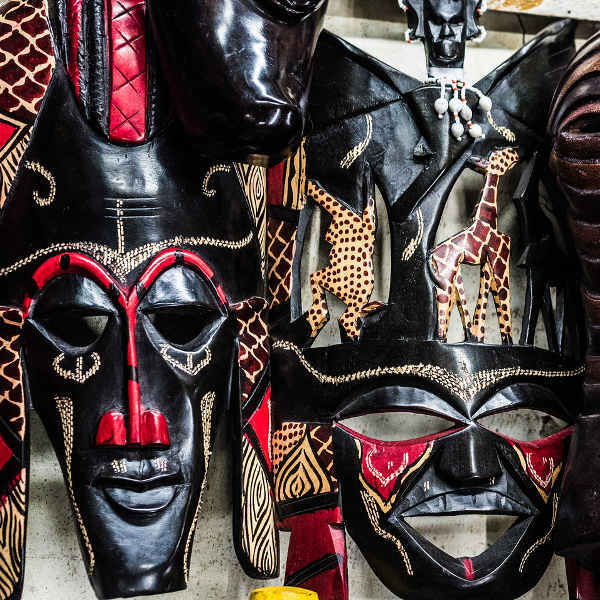 Lusaka, the nation’s vibrant capital, offers visitors a more traditional feel with its local markets and art galleries. Ndola is a quaint little city in Zambia’s Copperbelt Province and there is much to learn here about the region’s colonial past and copper mining history. Its tranquil scenery and wildlife sanctuaries will leave an African print on your holiday. Of course, no visit to Zambia is complete without a trip to Livingstone, Zambia’s gateway city to a thrilling journey of discovery. Victoria Falls is a UNESCO World Heritage Site, attracting throngs of tourists to its spectacular, thunderous white sprays plunging into the Zambezi River. Adrenaline junkies can indulge in bungee-jumping, white water rafting, and microlight flights. Wherever you decide to go to Zambia, you’ll be welcomed by the smiling locals with their infectious energy and vibrant culture. Compare several airlines, and book your cheap flights to Zambia online at Travelstart! South African passport holders do not need a visa to enter Zambia for a period of up to 90 days. Your passport must be valid for 6 months after you return, and you will need 3 blank pages available for entry stamps. Click here to see if you qualify for visa exemption. Zambia is a fairly safe country, but general vigilance and awareness should be exercised at all times, especially at night. Tourists are not advised to walk around after dark. Be aware of pick-pocketing – rather make use of the hotel safe to store extra money and valuables. Aggressive bull elephants in the musth stage have been known to wander along the roads in Livingstone, so rather take a taxi or shuttle from your hotel. Malaria is highly prevalent throughout Zambia, so consult a doctor on anti-malaria medication which will need to be taken before, during and after your holiday. Vaccines for typhoid and hepatitis A are highly recommended, as you may be exposed to contaminated food and water. Yellow fever vaccinations are not required, however, if you are travelling from a country at risk of yellow fever, the Zambian government may require proof of vaccination. A comprehensive travel-insurance policy to cover theft and medical expenses is highly recommended.